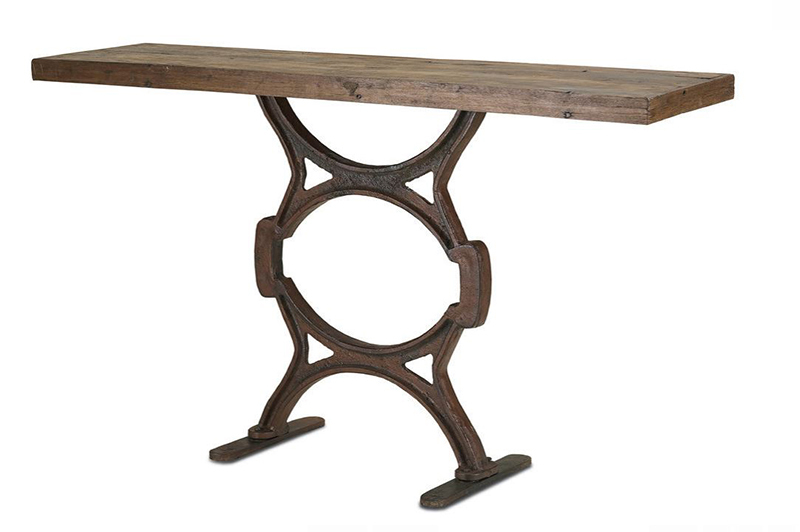 If you are into rustic style, look into these occasional tables with rustic appeal! Rustic styled furniture when it comes to home design is defined as a style related to rural life. It is simple and unsophisticated. Artless and boring. While this definition is true, there are rustic modern designs that are not at all boring and artless. There are a various lovely rustic designs out there that are simply outstanding. Although, there are some designs that are quite simple and unsophisticated, there are also those that are bizarre and eclectic. Designs that can bring out the beauty in your interiors. Yes, the materials used may be recycled and reclaimed but nevertheless impressive. It is also a great way to bring a relaxing and inviting vibe to your home. Who doesn’t love a home that has unique and striking accents? 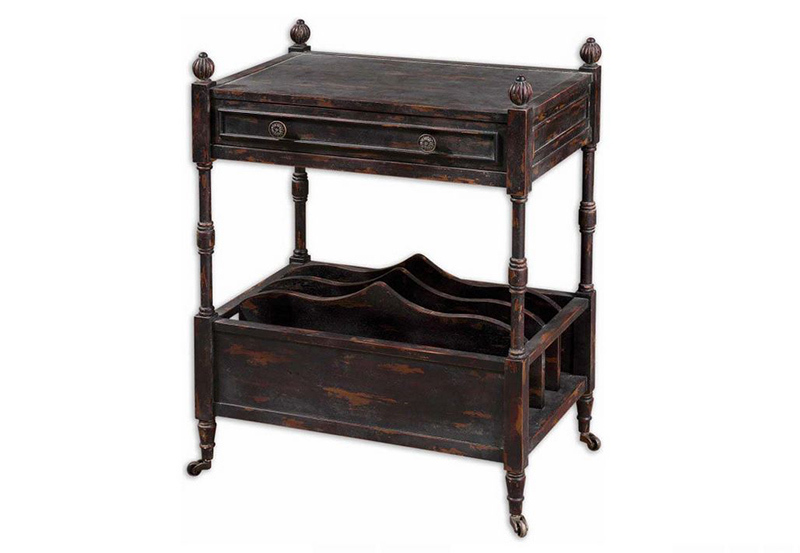 Rustic furnishings can also add drama and sophistication to your room. It does not matter if it is made of twigs or reclaimed wood, what matter is it serves its function and its aesthetic is super. So get that eye-catching accent and look for a spot in your home where it can be a star and you will see how much intrigue and excitement it can bring. 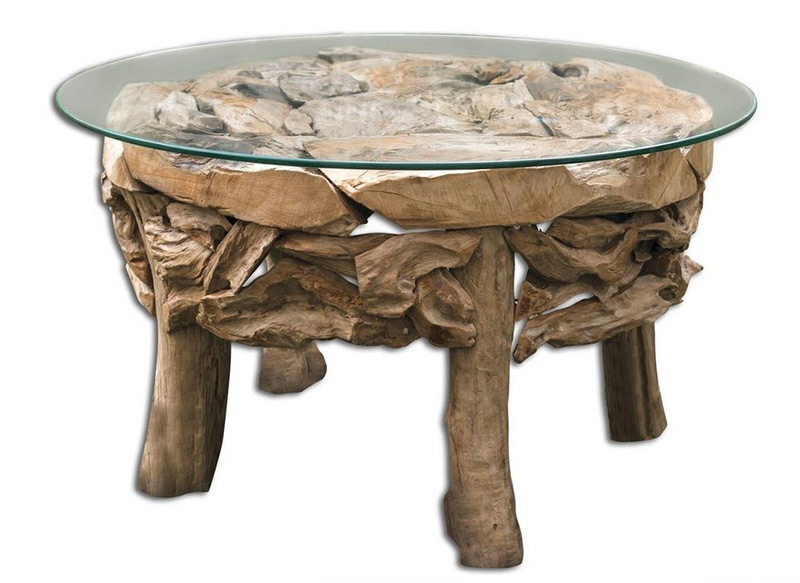 These 25 Appealing Rustic Occasional Tables are fabulous starters to create interesting punch in your interiors. 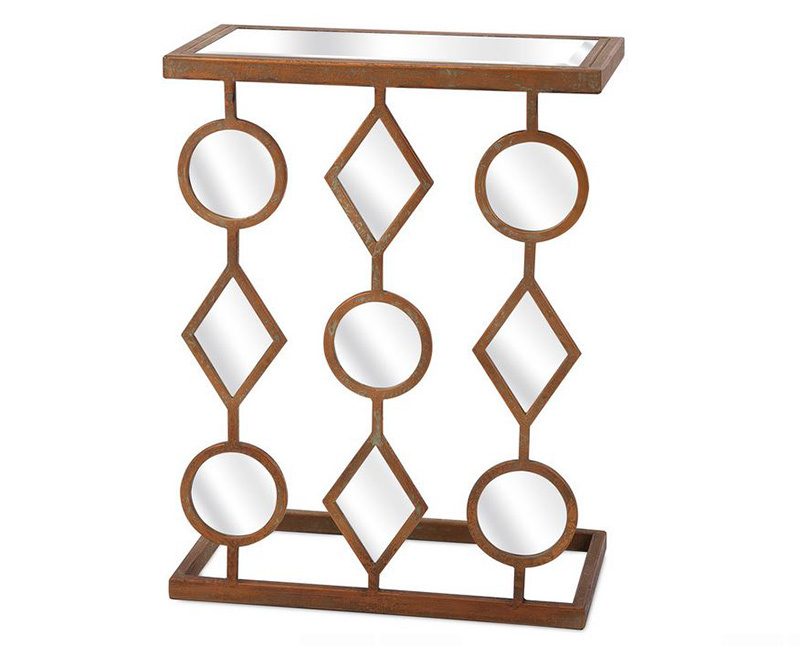 Its concentric circle pattern on the top and lower shelf gives its arresting charm. 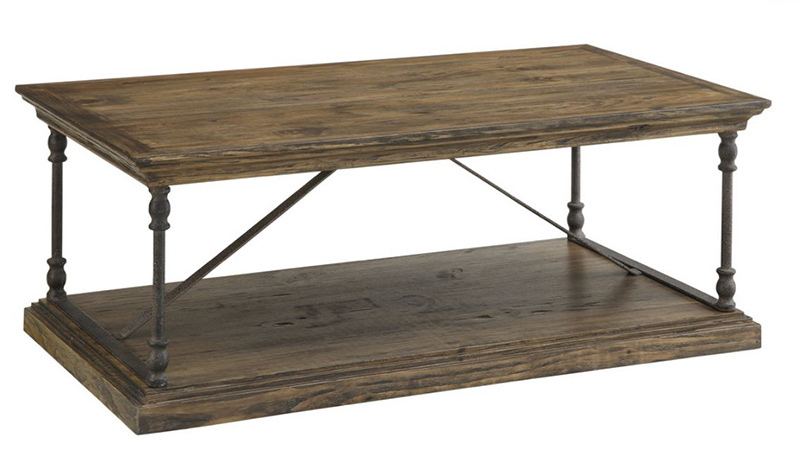 This rustic coffee table is simply unique and can give you a lot of open space to display and keep reading materials or other decorative accents for your living room. Capture everyone’s attention with this lovely twisted table. This piece can be used in different ways. 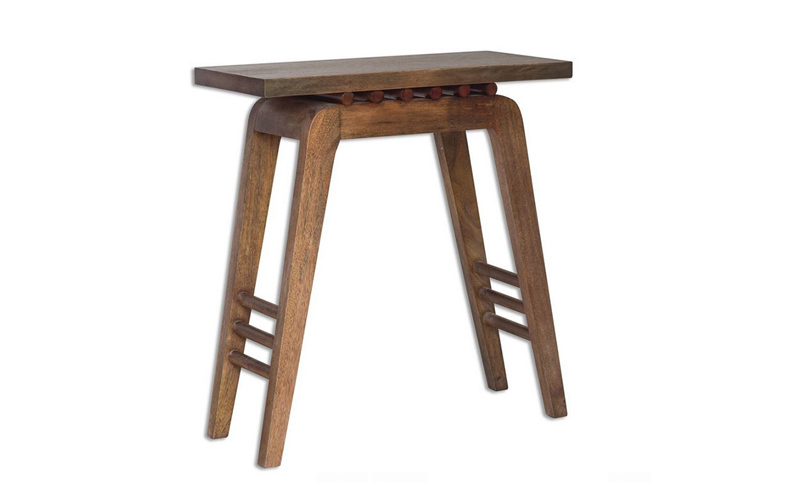 It can be a fabulous end table, display stand, or a stool that is sure to fit right in whether you have a contemporary, modern or traditional home. Bring fun and excitement to your room with this speckled square end table. 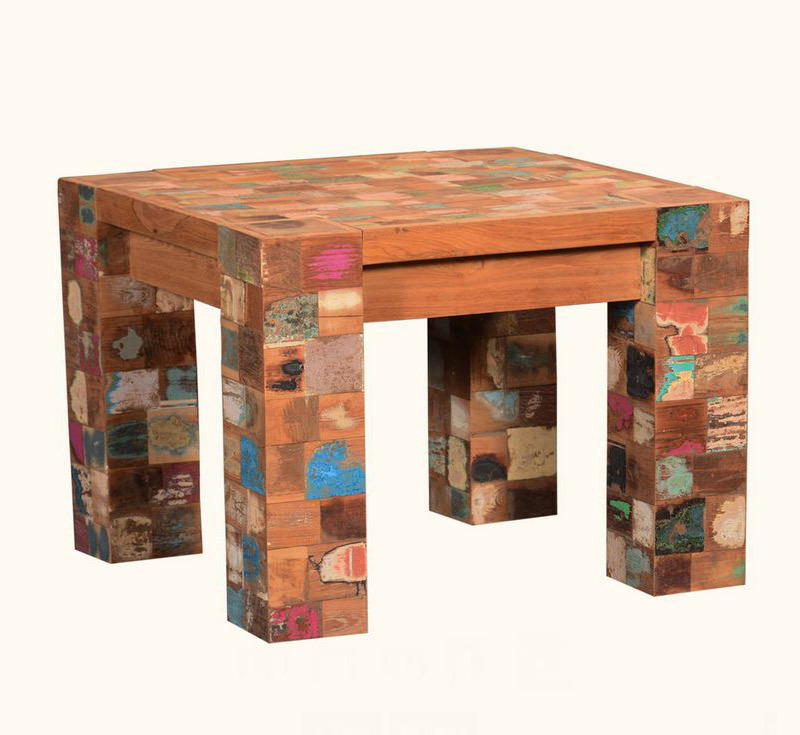 Its colorful treatment on the legs and table top lends playful rustic modern vibes that will standout on its own. Such a beautiful combination of industrial and rustic elements. The reclaimed gray finish and the metallic accents are great mix to bring that industrial chic vibe to your home. 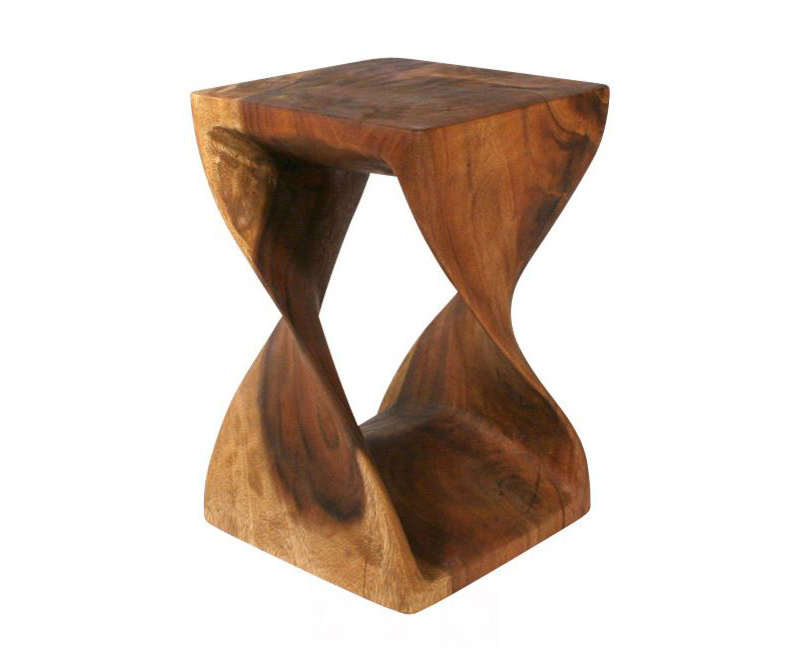 This occasional table will definitely make a one cool and bold statement for any space. 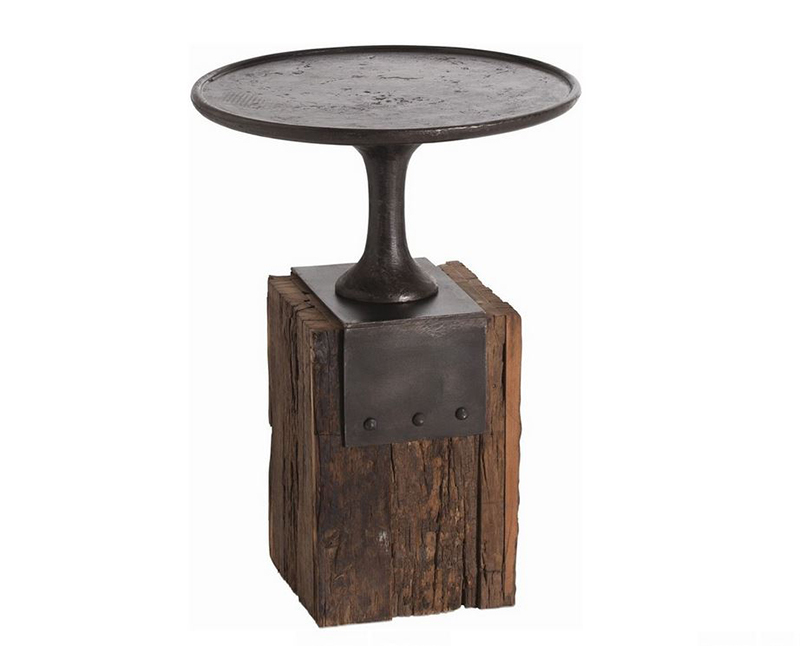 Its elegant forged rounded iron top is inspired by 19th century cake stand that is paired with a reclaimed wood block base. Notice the magazine slots around this chic wooden table cube, what a stylish way to keep your magazines in order. It also has a concealed space inside for help you de-clutter and keep more reading materials. 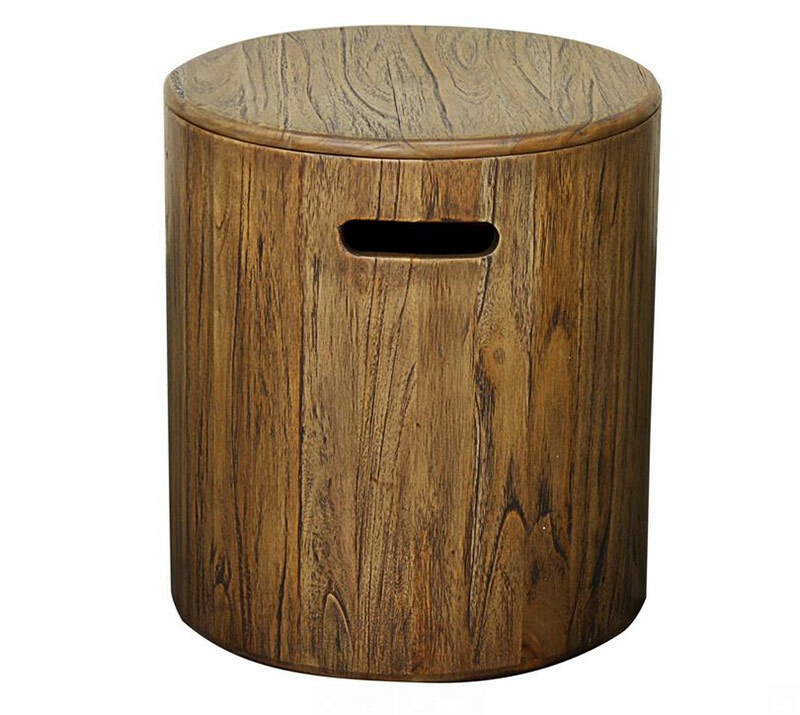 This side table will give your home a charming rustic flair and a lot of storage space to go around. 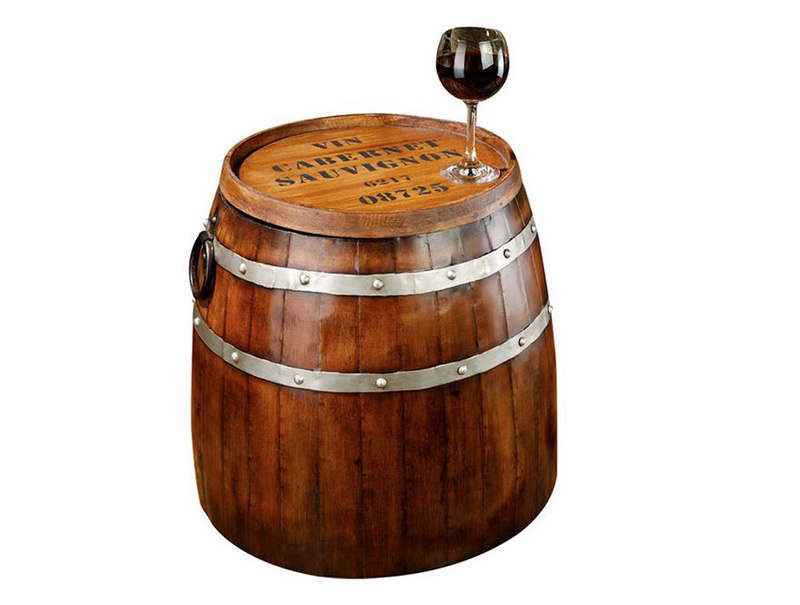 For all those wine lovers out there, this novelty accented wine barrel side table is the perfect accent for your home. Its vintage shades and elements will add elegance and sophistication to your living room. I love how this cocktail table looks so simple yet so bold. 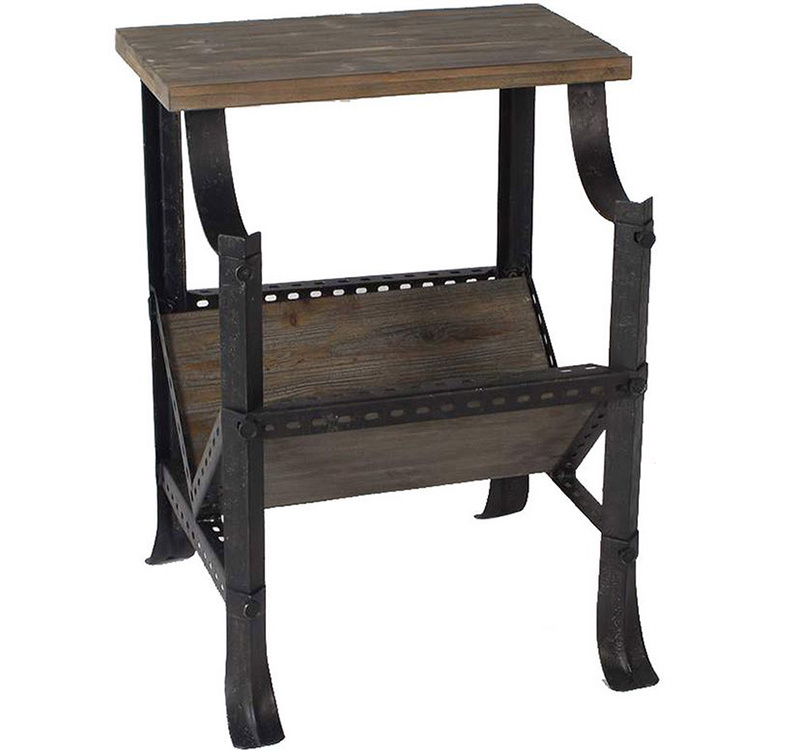 It features a natural charm of reclaimed wood and sturdy slab top and base both with beveled edges that add a dash of masculine touch; its iron legs and accents give off an industrial flair. 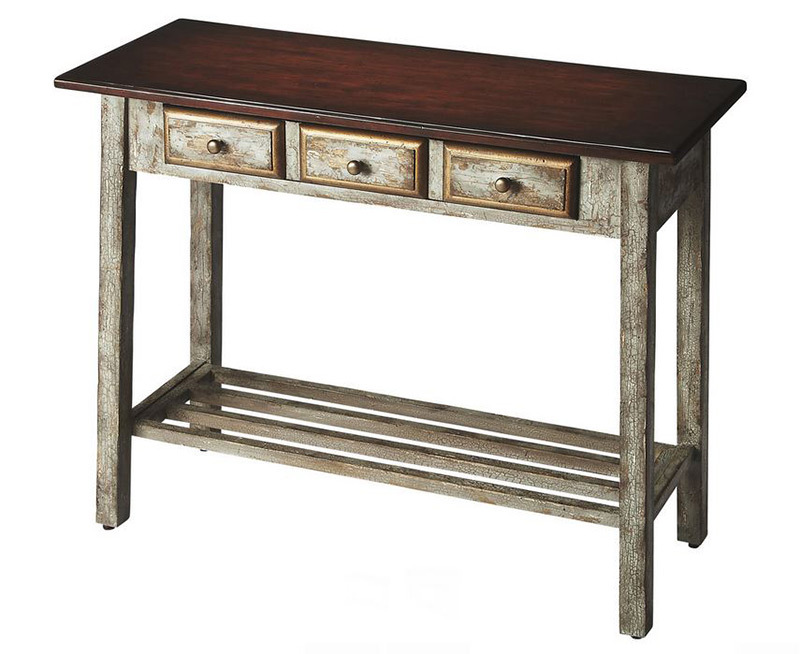 Bring a punch of industrial and rustic elements to your home with this Factory Console. This bold rustic table can be used as an impressive, eye-catching accent in any room in your home even in your entryway. Who wouldn’t love to have a room with a little drama and whimsy? 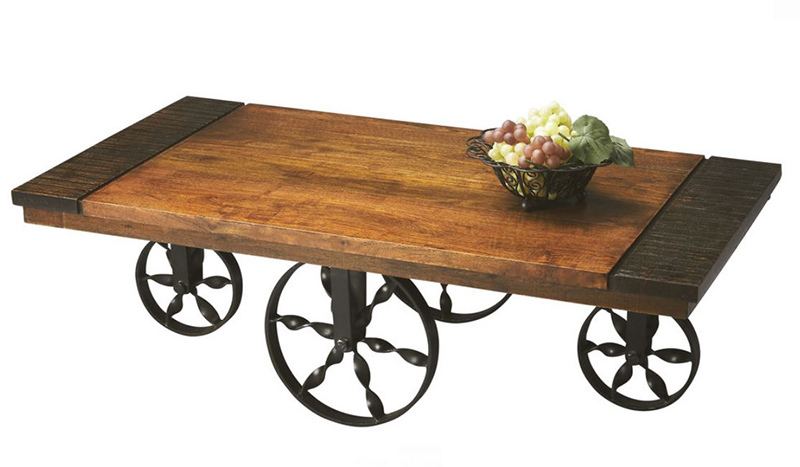 This charming wagon cocktail table will help you bring excitement and rustic elegance to your room. 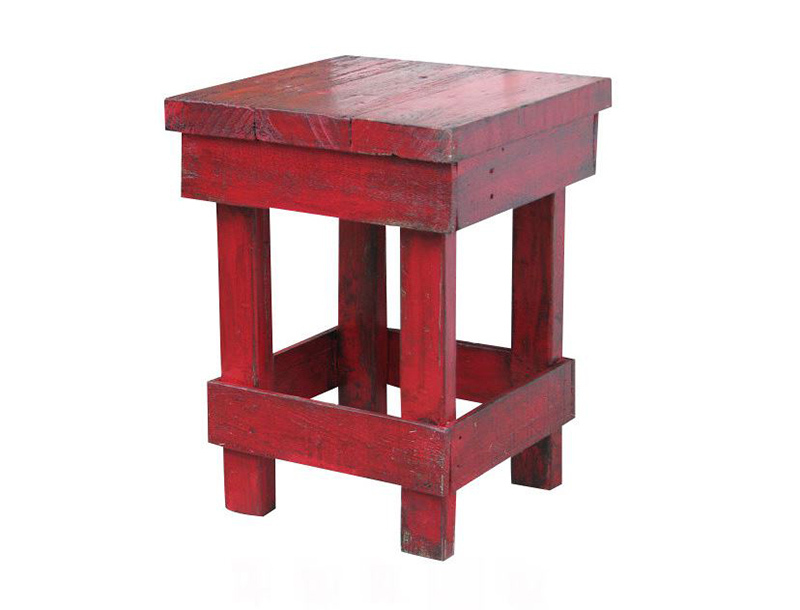 Add a playful pop to your home with this darling rustic end table in red ebony glaze finish. Its simplicity and sophistication is sure to bring charm and bold statement to any space. A stunning statement that is sure to give a unique look in your home. This rustic coffee table made from solid teak wood has preserved its natural design giving an enchanting look that is timeless and classy. 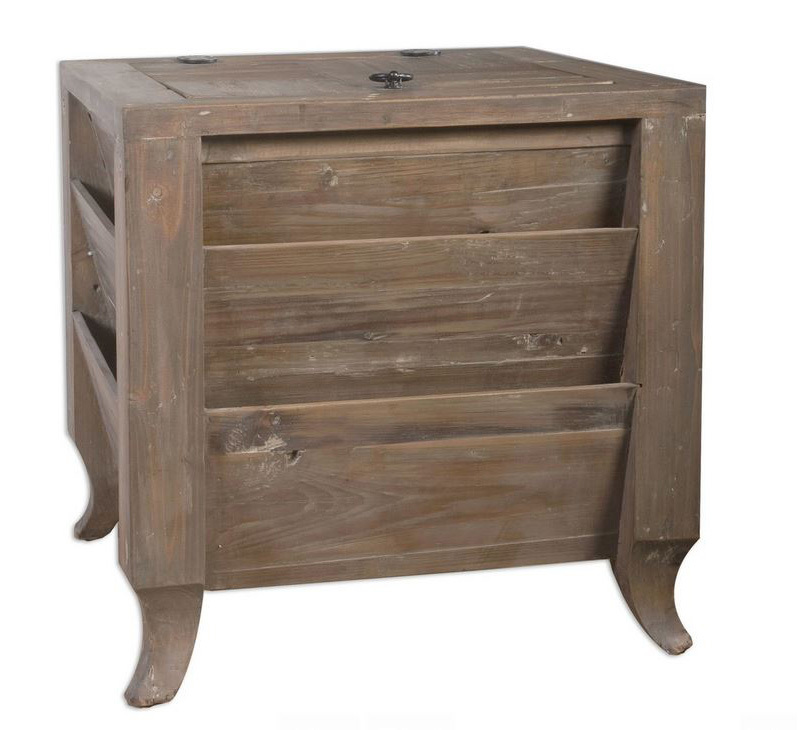 Let this accent table lend a dreamy feel to your home with its rustic charm and timeless elegance. 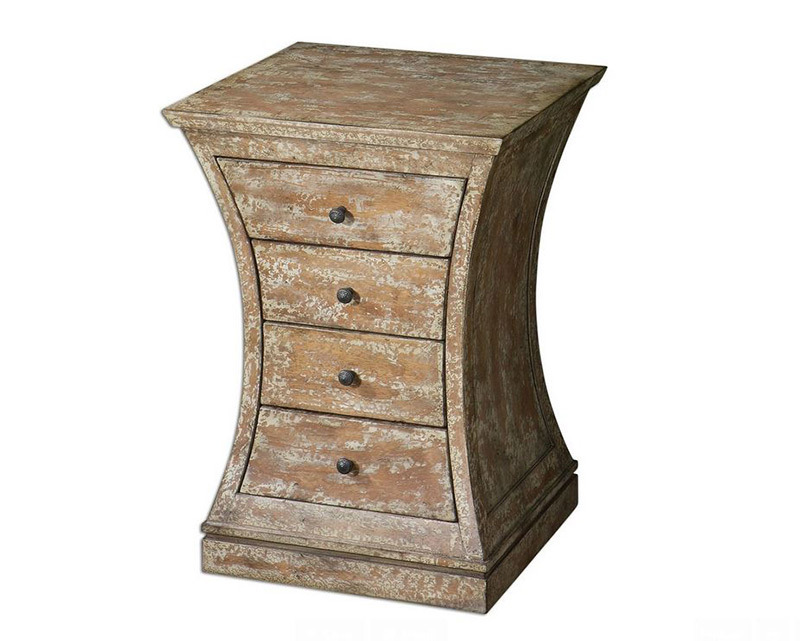 Its almond stained, distressed and antiqued ivory crackle paint finish makes it an attractive accent to any room. 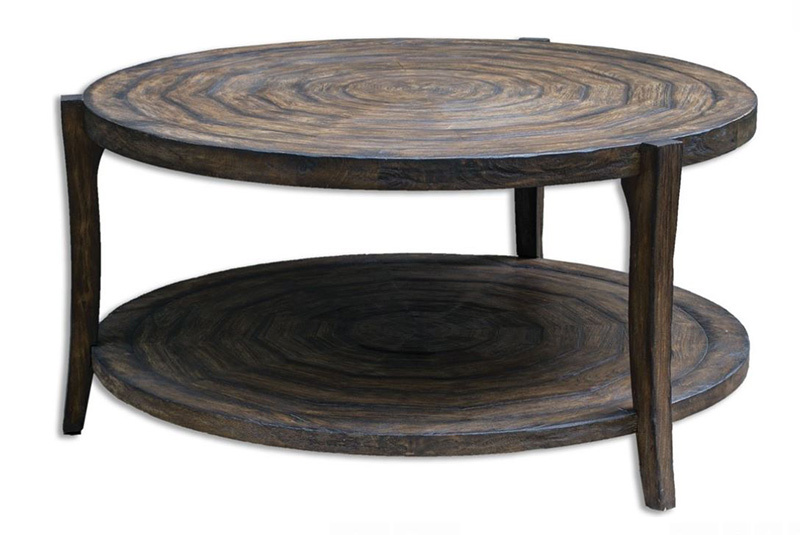 Its compelling design with straight lines and rectangles make this rustic casual table a stylish addition to your home. Look at how lovely the color of this accent table is! It will make a stylish statement for your living room or hallway with its captivating dark taupe finish. Its three-tiered design is great for displaying your favorite adornments. A teak root in your home, how cool is that? This eye-catching coffee table is a whimsy and unique statement that is sure to “wow” everyone. 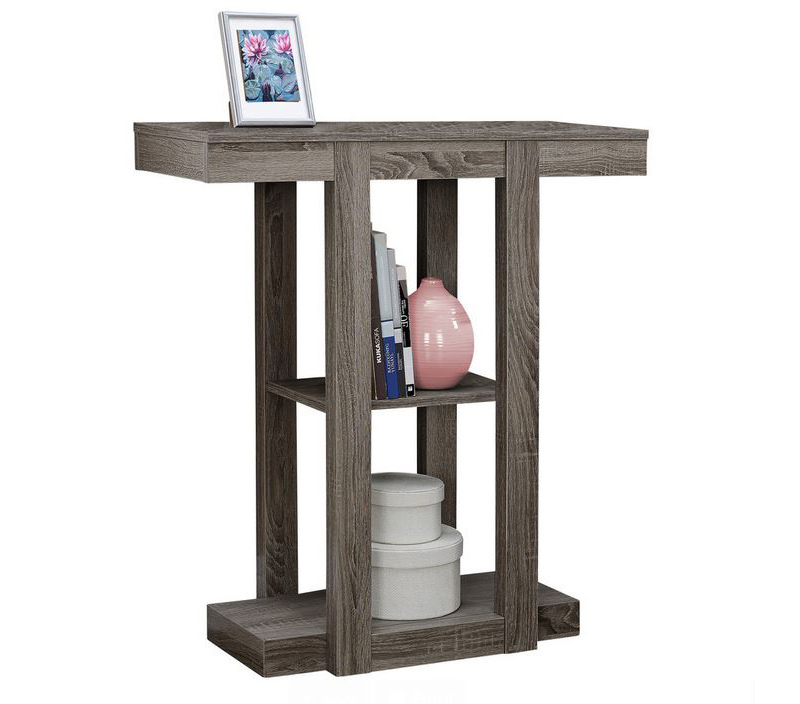 An enthralling accent table with floating top and dowel accents sure to draw everyone’s attention. It has a unique look that brings boldness and modern vibe while keeping its rustic charm. I love the geometric design on this rustic table. It is so jazzy and brings a unique interest to any space. This hand distressed wood magazine rack with rolling casters is a sure hit to get that vintage and rustic look in your home. It has a lot of storage space to keep your magazines and other favorite reading materials neat and in style. Beautiful rustic designed tables, indeed! The materials and the artistic designs were truly amazing and stunning! Rustic tables are not limited to simple and clean lines only. It can be a combination of several elements that create a one striking and interesting piece. It can be paired with modern furniture or even contemporary and eclectic ones. It can give your home that one of a kind look that is bold and classy. Its beauty like the traditional ones, is timeless. 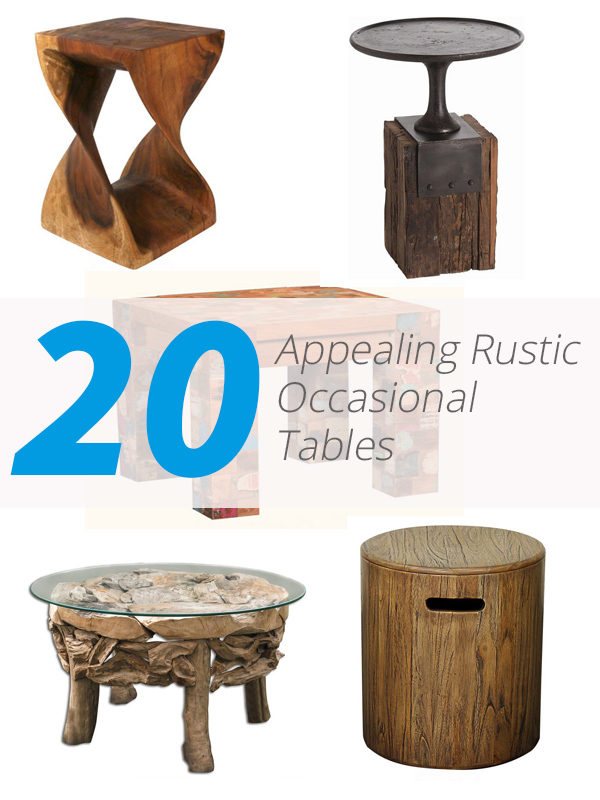 This list of 20 rustic occasional tables is one of my favorite lists here in Home Design Lover. I know you liked it too. I would love to hear from you, comment your favorite design below.